Okay, the Smashing Pumpkins frontman was actually asking the House Judiciary Committee to pass the Performance Rights Act, which would give artists royalties for having their songs played on the radio, rather than just the songwriters, but the end result would be more moolah for Mr. Mopey more bucks for baldy an increased revenue stream for Mr. Corgan. Pitchfork found the Getty page with pictures if you want to see him, all decked out in a suit and stuff. The Chicago Sun-Times has a transcript of Corgan’s full testimony, including gems like “ours is a business that always begins with the brilliance of the artists.” Sure, unless it starts with the cynicism of a label exec. But that’s a kind of artistry! Anyway, Corgan was speaking on behalf of Music FIRST, an organization whose whole reason for being is to revise the royalty structure; internet and satellite radio pay royalties to artists and songwriters, while regular old AM/FM stations just pay songwriters. After the jump: your farcically-named DJ tries to untangle this moral web.As a former FM radio employee and current internet radio employee, as well as a supporter of musicians in general and a sort-of musician myself, I’m not sure where I come down on this issue. Sure, it seems unfair and weird that regular radio gets to play songs on the cheap, and artists deserve fair pay for commercially successful work, but the station I worked at couldn’t even afford, like, pens, so I’m not sure where that money will come from. Plus, I get the feeling that at the level where this law might make a difference, an artist will already be pretty comfortable, but I could be wrong. 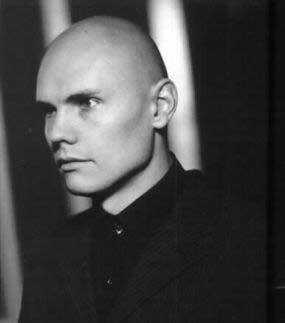 Maybe Corgan should have just gone a step further and asked Congress to nationalize the music industry? Then, once you’re in the Punk Rockers’ Union, you’ll just get a stipend.